Shako Riya is 22 and not yet married. Kandahar— My wish is to help my family. I would like to be educated and learn things. An illiterate person cannot develop and find a job to support her family. 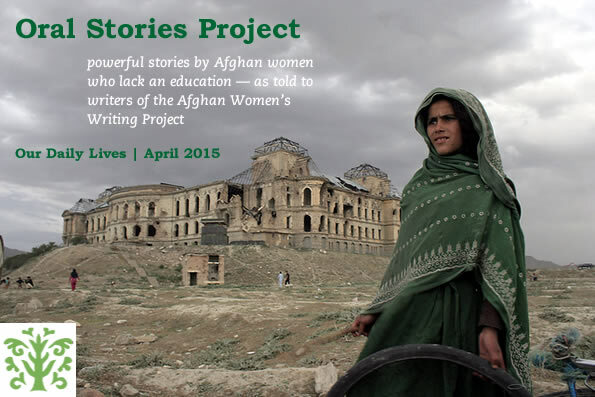 When I was growing up the Taliban government occupied Afghanistan and the environment was insecure for women. Learning and higher education were very hard, almost impossible because at that time girls could not go to school. My happiness during that time was when I got a chance to read and study something. Illiteracy is a sickness, and also a challenge to my ability to help my parents. I see in all dimensions of my life that it is a problem being uneducated. My sisters are going to school and I can’t help them. I only work in the house. Out of the home, if a person is uneducated the people don’t respect you as much. The people will break their conversation with them, saying that he/she is uneducated and why waste time with an uneducated person. I want to learn a lot and have development. I like to recite the holy Qur’an because one of the important bases of Islam is the Qur’an. I want to have information about my religious laws and this is not possible if I don’t have education. My illiteracy affects many areas. Even my friends or my family members, they say “you are uneducated, you are not important.” This is the cause of my disadvantages: illiteracy. Shako Rio as told to Fatima M.